Guest blog post – Magpies. After having a look through her blog and what she gets up to I decided to ask her if she’d do a guest blog post for me on my blog, this is the first one of these I’ve ever done and here it is. Hi, I’m Emily and I have a little nature blog called ‘Nuts about Nature’. I hope you enjoy this guest post I am doing on Georgia’s blog today! 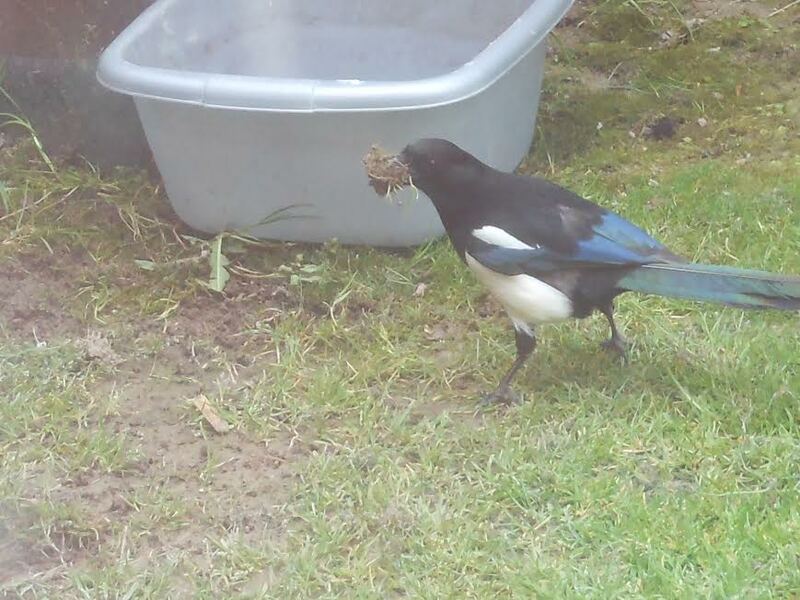 A little while ago I noticed that a pair of Magpies were collecting nesting materials from my garden. I’d never seen Magpies in my garden before, so I was so happy to see that they were using materials from my garden to make their nest. After collecting a ‘beak-full’ of straw, grass and moss they flew straight to their nesting site. Which is very close to where I live, so I had a perfect viewpoint! 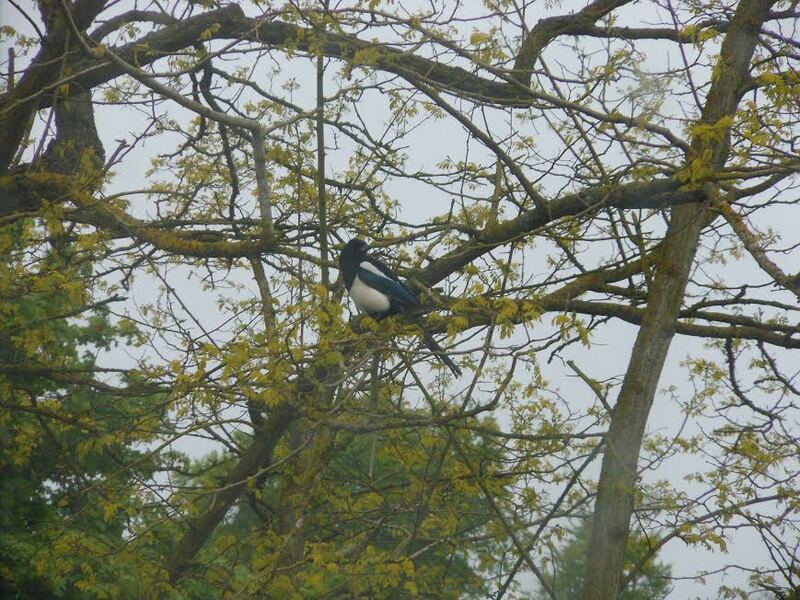 I also saw one of the Magpies break twigs off of a tree, some were longer than the bird itself! 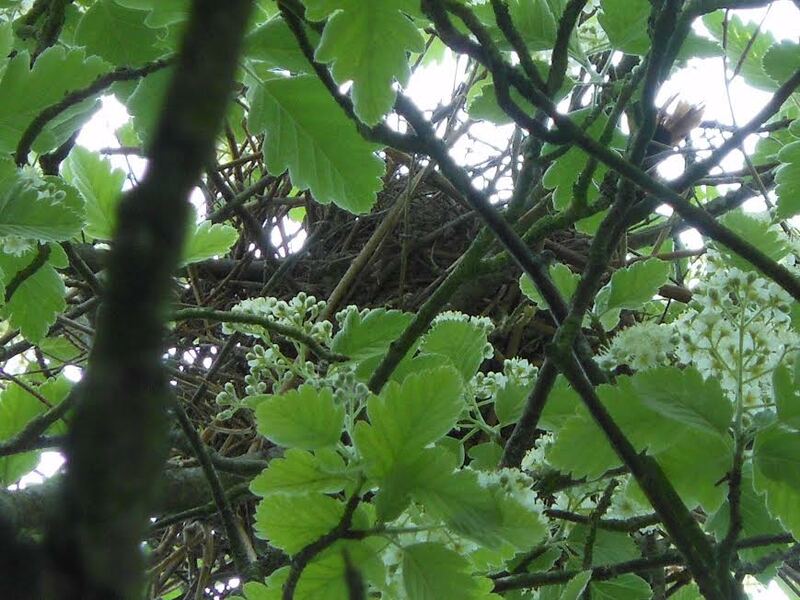 A few days ago, after the Magpies had finished building their traditional untidy and large nest I decided to walk up to the tree they chose to nest in. If you look closely in the photo above, you can see the female Magpie sat in her nest, incubating the eggs. The males feed the females throughout the whole incubating period. Also, I recently found out that when food is scarce, Magpies use their sharp beaks to dig little holes in the ground around their territory to hide food. They then cover the hole over with grass, stones or leaves. Female Magpies usually lay around six green-blue eggs which have brown spots, she then incubates them for around two and a half weeks. Both of the parents feed the chicks, but if there isn’t much food around, the older chicks – which are usually stronger – get all of the food. This means that some of the chicks will survive. 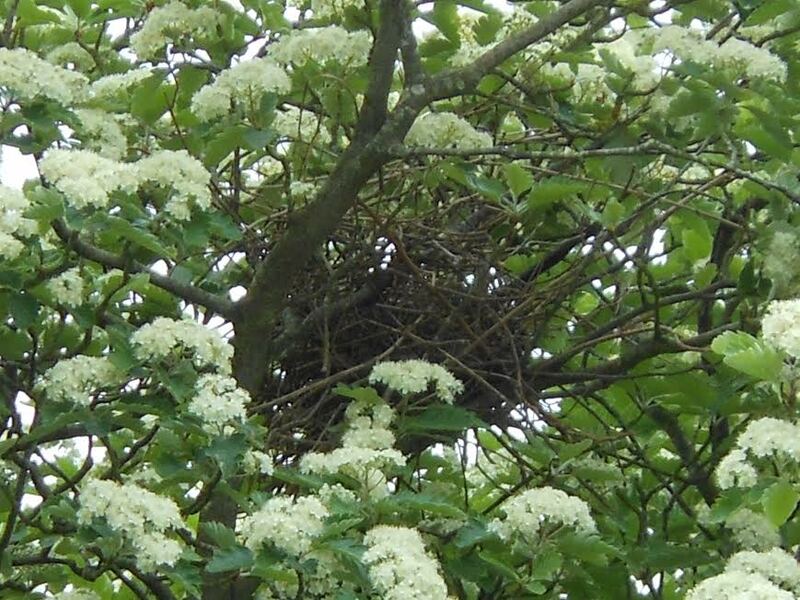 I reckon that the Magpies finished building their nest approximately two weeks ago, so I’m expecting to see both the parents busy searching for food to feed chicks very soon! I’m looking forward to seeing the Magpie fledglings fly around. They usually stay in their parents’ territory for a few months, normally until around September time. It’s amazing that all the different birds are so busy at this time of year. Up until a year ago, I never realised just how clever and interesting birds are! Previous PostBugs flood to new hotel!Next PostDay one in the Lake District. Nice post, nice photos. Well done.